Our friend Tony Di Dio of Tony Di Dio Selections occasionally hosts wine dinners at some of the city’s best restaurants. 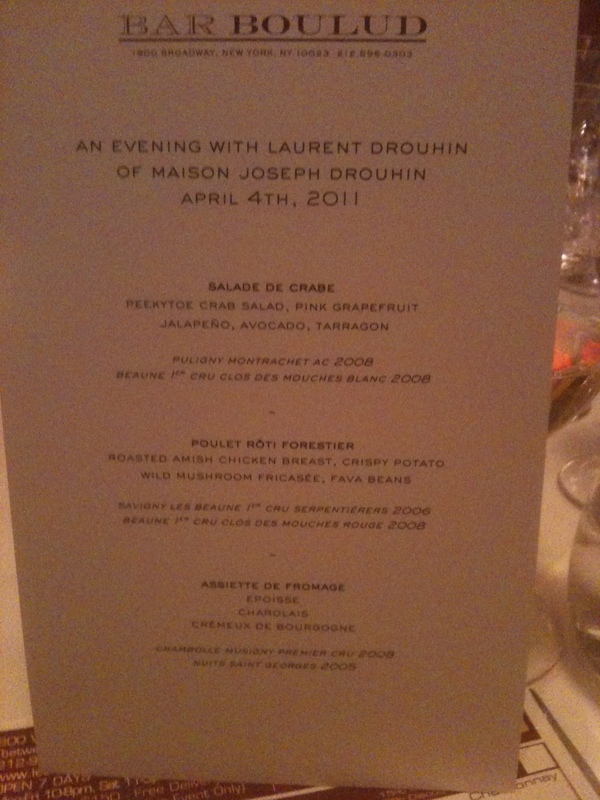 One in particular caught Michele’s eye: an evening with Laurent Drouhin of France’s Drouhin Winery at Bar Boulud for an all inclusive price of $129. Since Michele is a big fan of both Burgundy wine and French food, we decided to go. At the restaurant, we were directed to the private dining room next to the wine cellar. 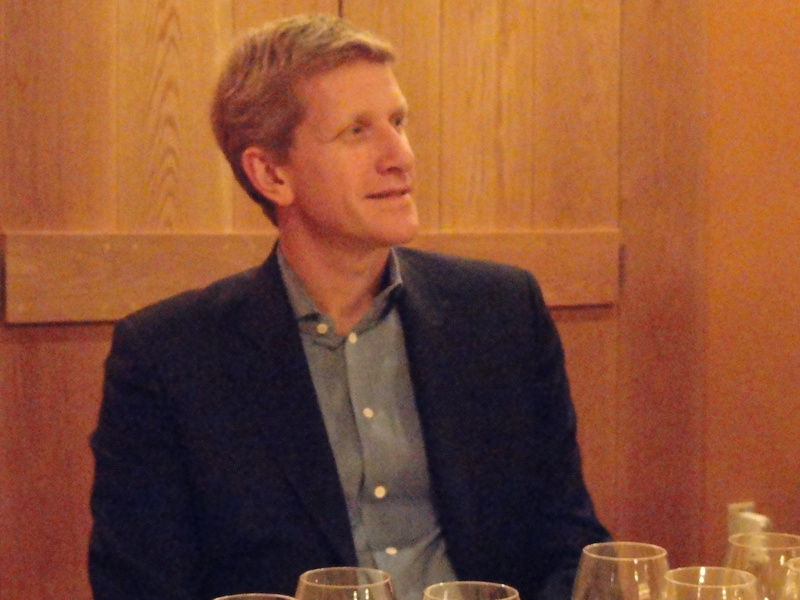 We sat with Laurent Drouhin so I was able to ask him many questions. His English is perfect as he has lived in Westchester for a number of years. Laurent spoke about the terroir, how important it is to them and how all of his family’s wines are terroir driven. He said that every effort is made to respect the terroir in all its diversity and that they are able to express the exact character of each terroir by using an organic and biodynamic approach. The soil is very important and they respect and ensure the quality by plowing by horse, allowing grass to grow between the vines and using natural compost and natural predators. The root stock is grown in their own nursery in order to preserve the genetic heritage and control the quality. He was very proud of the fact that they basically make wine as his great-grandfather did, using as little interference in the natural processes as possible and making sure that technical knowhow is always at the service of authenticity. Laurent said that because 2009 was a great year, many people that visit the winery or want to taste the wines are only interested in the 2009. He said that 2008 was a very good vintage and that people should give it a chance. Chablis 2009 Domaine de Vaudon 100% Chardonnay The vineyards are located in the northern- most region of Burgundy in a dramatic circle of hills where vines have been planted for hundreds of years. The soil is Kimmerdgian limestone and contains millions of tiny marine fossils embedded in a kind of whitish mortar which may have been the bottom of a sea. This marine origin is the reason for the unique character of the wines of Chablis. 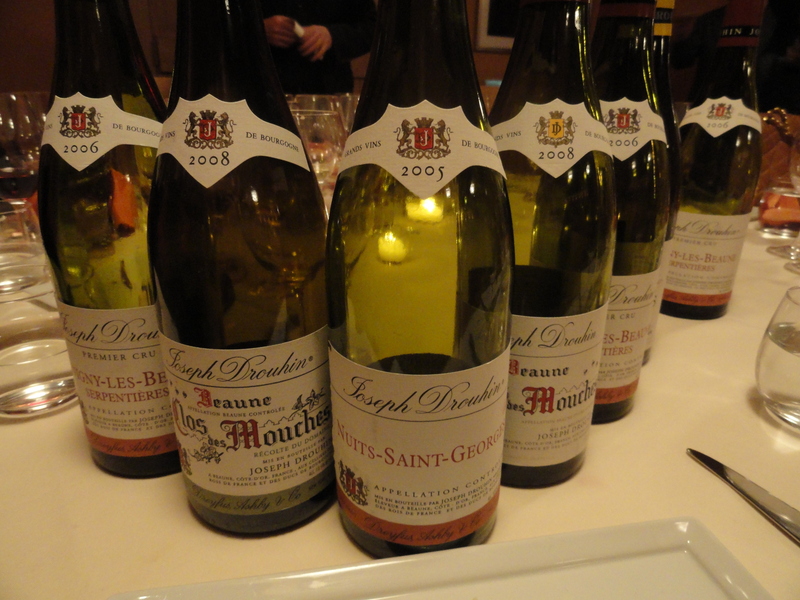 Beaune 1er Cru – Clos des Mouches Blanc 2008 100% Chardonnay The vineyard is at Southern end of the Beaune appellation next to Pommard. It is at the middle slope, on a mild incline with an east/southeast exposure. It is 35 acres (14 hectares) making it the largest parcel in the Clos des Mouches. Laurent said that it is rocky soil of clay and limestone in the upper part of the vineyard. In the center there is limestone and marl. He went on to say that this light composition is responsible for the finesse of the wine. He said that there is 10,000/12500 plants/ha in order to extract all the possible nuances from the terroir and limit the production of each vine. In was very proud of the fact that they keep their yields low- 20% less than allowed by law. Harvesting is by hand and the grapes are sorted twice, when being picked and again on the sorting table at the winery. In 2008 malolatic fermentation began later than usual and lasted several months. He felt that the aging on the lees allowed the wine to gain complexity, remain fresh and reduced the acidity level. 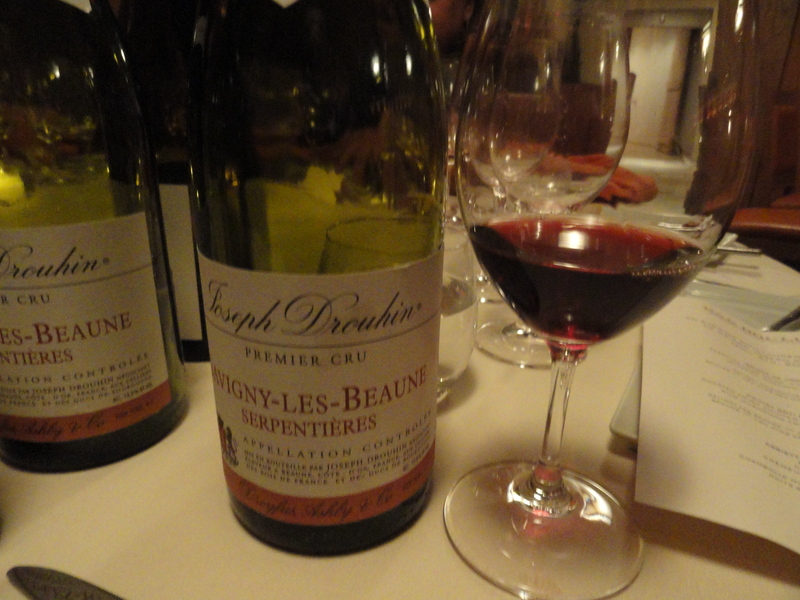 The wine is aged in “French forest oak” barriques for 12/16 months, 25% are new oak. They insist that the weathering of the wood take place for three years. 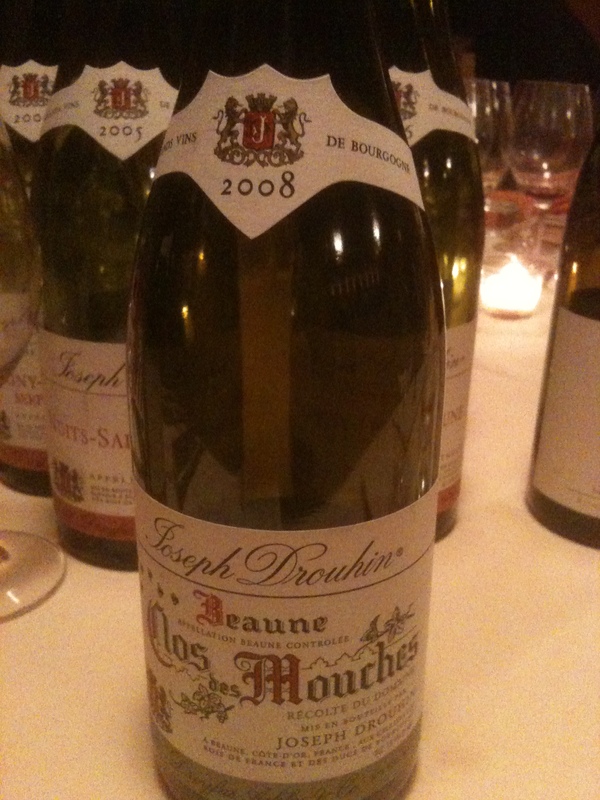 Laurent said that this was one of the controlling elements in the elegance of the wine. 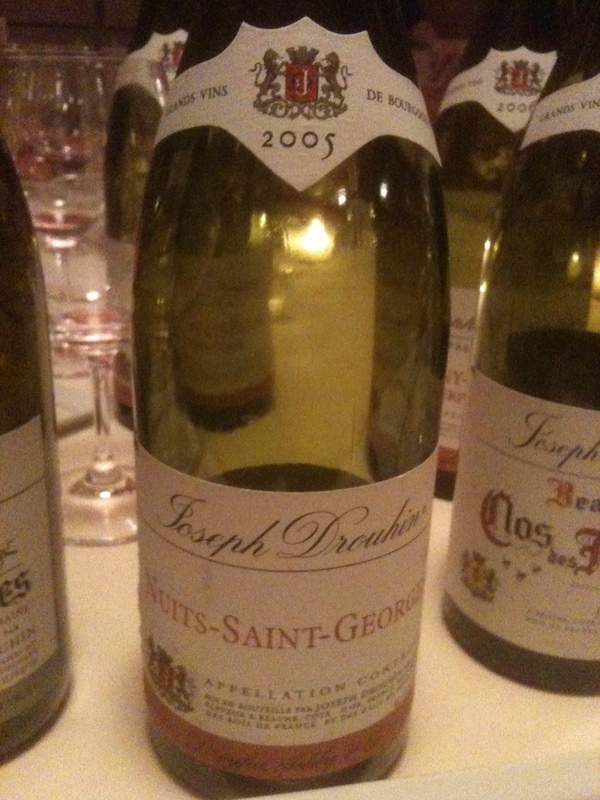 Nuits-Saint –Georges 2005 100% Pinot Noir $61 Laurent pointed out that 2005 was an excellent year. The appellation is colongated, with two different sections the north and the south separated by a little stream that crosses the town. The hillside is quite steep and the vineyards have an eastern exposure. The soil has outcroppings of hard chalk in many places; Laurent said that the northern part of the Nuits, close to Vosne produces wines of great finesse, the southern part, with its rockier soil gives powerful and long lasting wines. There are 10,000 vines per hectar, the Guyot system and the yield of 45hl/ha. The grapes and must were supplied by their regular sources. Maceration and vinification is for 2/3 weeks and the wine is aged in French oak which 20% is new for 14/18 months. There was good balance between acidity, alcohol and the tannins. It is this balance Laurent pointed out which gives the wine its elegance. There were hints of cherry and blackberry. The wine was very well structured yet with a certain softness and elegance. 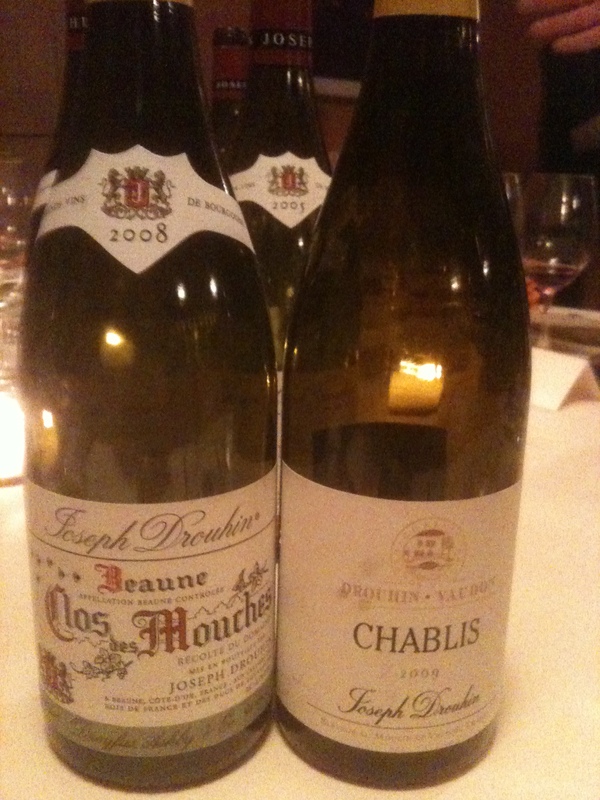 As a wise man once said there is Pinot Noir and then there is Burgundy!